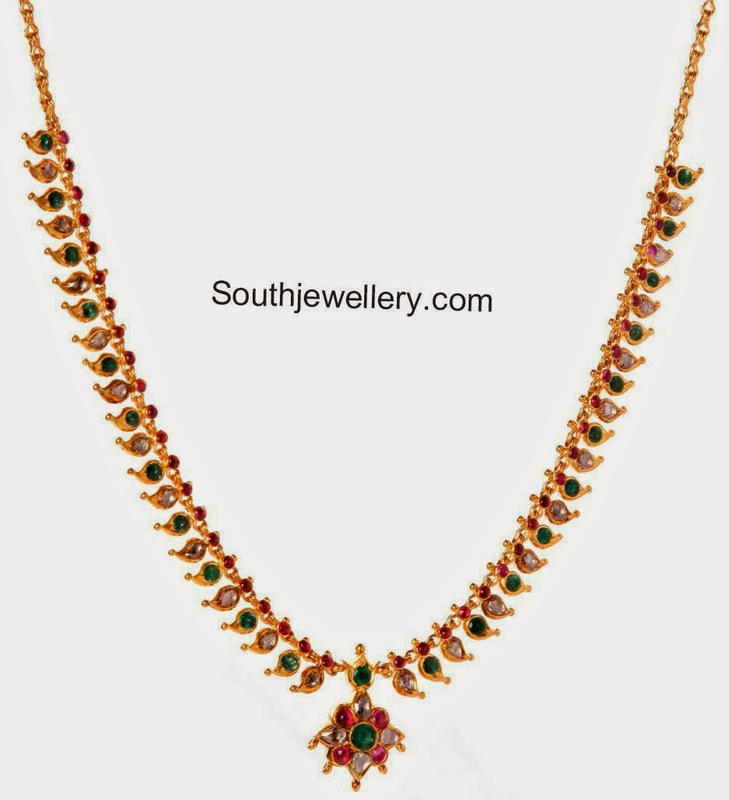 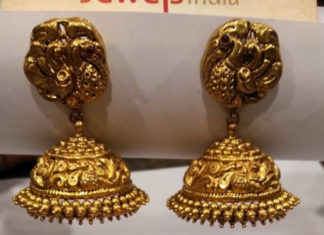 22 carat gold antique peacock nakshi kadas and jhumkas studded with rubies by Jewels India Antique Shoppee. 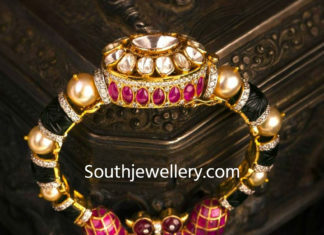 22 Carat gold peacock design bangle adorned with polki diamonds, rubies, emeralds and pearls by Harini Fine Jewellery. 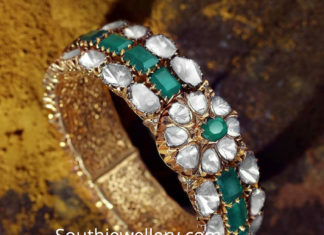 22 carat gold bangle studded with emeralds and polki diamonds by PMJ jewels. 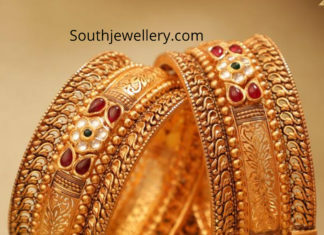 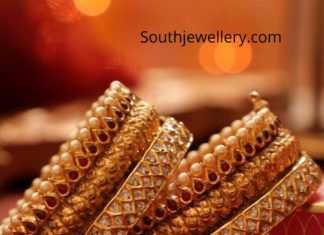 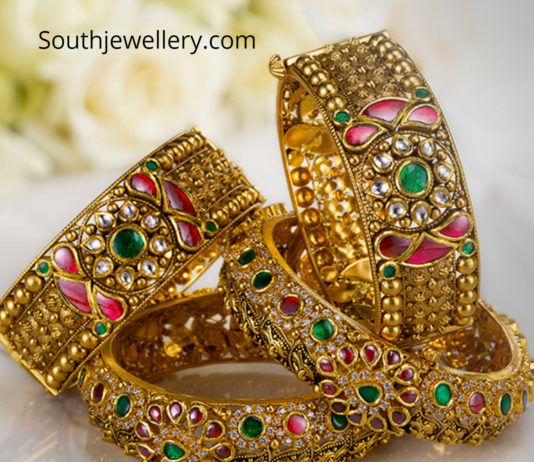 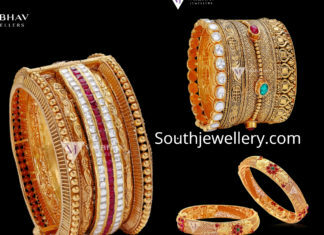 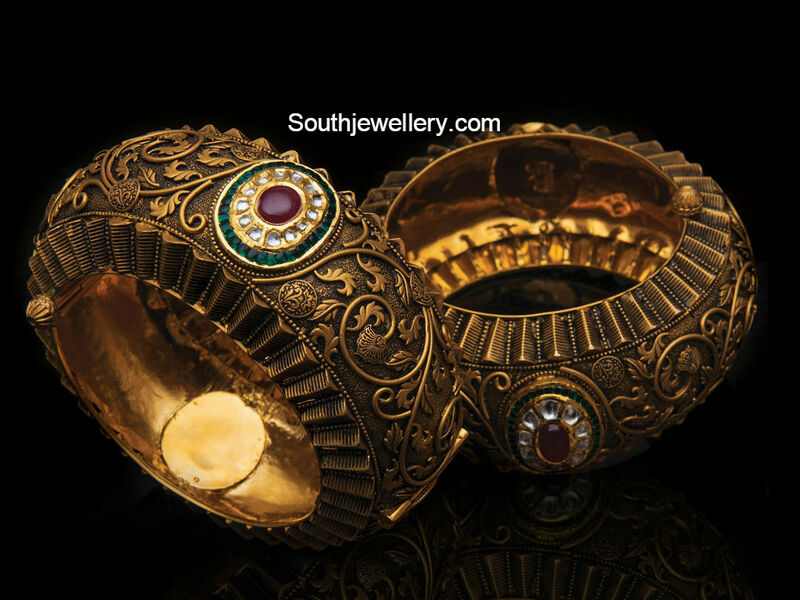 22 Carat gold antique finish broad bangles studded with rubies, emeralds and polki diamonds. 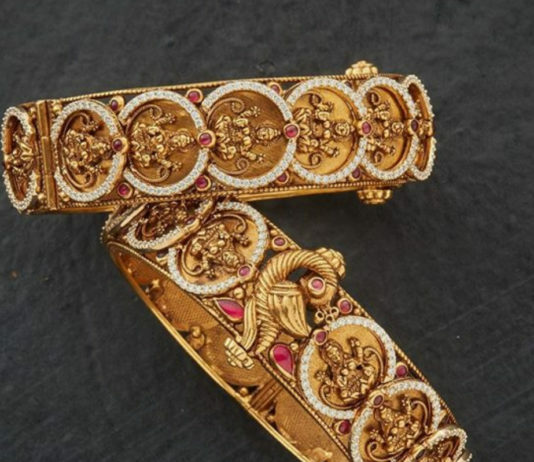 22 Carat gold antique broad bangles adorned with cz stones, rubies and pearls by Manubhai Jewellers. 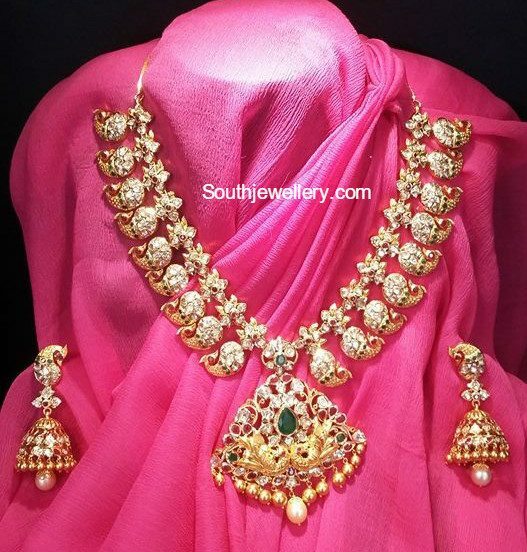 22 carat gold antique pacchi peacock mango mala paired with matching jhumkis by Mor Jewellers.